Marissa Farrar: Cover Reveal! Autumn's End! 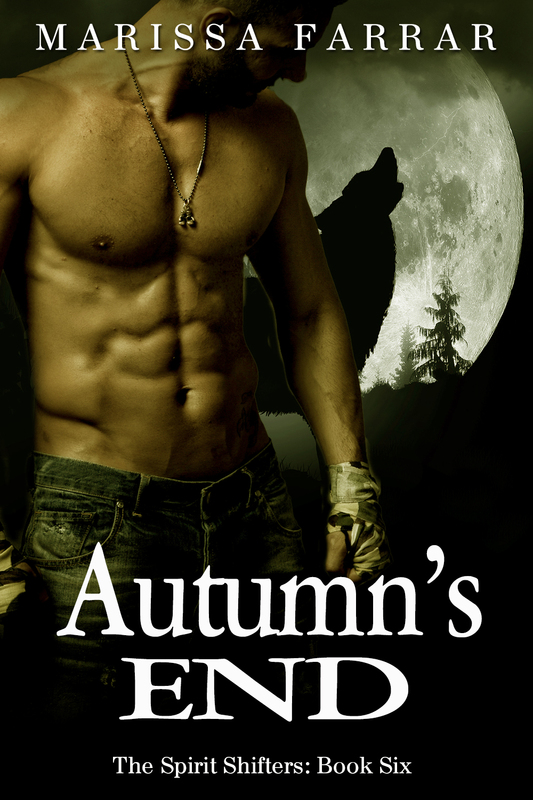 So the time has come for the final book in the Spirit Shifters series to come to life. Ending a series always causes such mixed feelings in me. In many ways, I'm happy to see my characters reach the end of their story, and I'm excited to be moving onto pastures new, but in other ways it's sad to say goodbye to them all. I've been writing The Spirit Shifters for several years now, and, after this final book has been published, there will be around 400,000 words written about Autumn, Blake and the gang! That's a lot of words! I hope you've enjoyed them all, and that you'll enjoy the final book, too. Without further ado, here's the cover for the sixth and final book, Autumn's End! Pregnant with Peter’s child, Mia is adjusting to life as a shifter. Filled with a hunger she seems unable to sate, and with the baby growing at an unnatural rate, she and Peter seek help. An ancient brotherhood get heed the baby might be the first of its kind—a true genetic shifter—and they will do everything they can to stop more shifters being created, including abducting Mia. Caught in an explosion downtown, Autumn has to figure out if she was simply in the wrong place at the wrong time, or if someone is out to kill her. When news of Mia comes through, both Autumn, Blake, and the others will stop at nothing to get her back, even if it means waging a battle between their own kind. Will Mia and Peter’s baby be the start of a whole new legacy of shifters, or will lives be lost? The book will be out on January 26th 2015, and is now available for preorder! Pre-order now and you'll save 25% on the regular $3.99 price. Kinking Up Christmas with Kay JayBee!